The understanding that all humans will be saved and granted immortality in the heavenly realm is a growing but yet minority position within the Christian community. Objections to this position are usually grounded in the belief that salvation is only available during this physical life. If a person isn’t “saved” before physical death, there will be eternal punishing or annihilation. Even among those who feel the unsaved may have opportunity for eternal life in the heavenly realm after physical death, the belief remains that not all will make the right choices and some will have to be annihilated or consigned to eternal punishing. A major objection to the proposition that all humans will be saved is the belief that Scripture shows this not to be the case. Many Scriptures are cited that show judgement, perishing, destruction and punishment administered against the unrighteous. It is believed such judgement, perishing, destruction and punishment pertain to the after life and is not just temporal. Is this what the Scriptures teach? To understand the judgement, perishing, destruction and punishment passages in Scripture, we must read these passages in their context. We must carefully consider the context of such passages if we are to have a chance at understanding their application. Let’s look at Matthew 7:13-14 as an example of this approach. Matthew 7:13-14: Enter through the narrow gate. For wide is the gate and broad is the road that leads to destruction, and many enter through it. But small is the gate and narrow the road that leads to life, and only a few find it. In traditional Christian teaching the narrow gate is seen as the pathway to heaven and the wide gate as the pathway to hell. But is heaven and hell in the mind of Jesus as He makes these extraordinary statements? Is Jesus teaching about the eternal destiny of the righteous versus the wicked? Jesus makes this statement near the end of His Sermon on the Mount where He provides a great deal of instruction as to how to live the Kingdom life. To understand Jesus’ presentation of the two gates we must place this teaching in the overall context of what He had taught to this point. To this point, Jesus is teaching what it means to be in the Kingdom. What it means to live by Kingdom standards. He is showing that Kingdom living is not some far off goal to be attained far into the future or first attained once we leave this physical life. Jesus is teaching how we are to live in the here and now. When Jesus instructs us to enter the narrow gate rather then the wide gate He is not talking about heaven versus hell. He is not talking about eternal life versus eternal death. He is talking about living according to the instruction He had just provided which He summarized in stating the Golden Rule. He is talking about experiencing the benefits of living according to the standards of behavior He had been teaching, standards which if followed, lead to a life of joy peace and success as opposed to the destructive consequences of living a life characterized by behavior that is contrary to the teachings in the Sermon on the Mount. Jesus is laying before His listeners the choice of the narrow or wide road. The one road is called the straight and narrow because it is a road that has perimeters of behavior. It is a road that establishes a specific direction in which to travel. The narrow road maps out the route we are to travel in order to fulfill the way of life God wants for us to live. Jesus says, enter this gate. Go down this road. The result will be a satisfying life. The wide gate leading to the broad road doesn’t have set parameters. This road doesn’t have a specific direction. This road often changes direction and does not have an established route of travel. This road can lead to all sorts of problems and difficulties in life. This road can lead to destructive consequences that bring pain, suffering and tribulation. This road can bring gloom, despair and agony. Jesus says the many walk down this road which is to say the many simply follow the way of wrong choices and suffer the consequences of those choices. When placed into the context of what Jesus taught in the Sermon on the Mount, there is no reason to believe the eternal destiny of the righteous and wicked are being addressed here. Jesus is simply making a point about how things are with human behavior and pointing to the way that leads to positive versus negative consequences. As discussed in part two of this series, the many references found in the NT to punishment, destruction, perishing and being thrown into the fire have nothing to do with the eternal fate of the unrighteous. These pronouncements are instead tied to the anticipated judgement that was prophesied to occur upon first century Israel. This is the context of many passages of Scripture that discuss punishment and destruction. These references are often mistakenly applied to a future fulfillment or to the eternal fate of the unrighteous. For example, there are passages in Matthew and Luke that are often seen as pertaining to the eternal fate of the unrighteous. Matthew 10:28: Do not be afraid of those who kill the body but cannot kill the soul. Rather, be afraid of the One who can destroy (Greek: apollumi [ap-ol'-loo-mee]) both soul and body in hell (Gehenna). Luke 12:4-5: "I tell you, my friends, do not be afraid of those who kill the body and after that can do no more. But I will show you whom you should fear: Fear him who, after the killing of the body, has power to throw you into hell. Yes, I tell you, fear him. While Jesus' teaching in Matthew 10 and Luke 12 has relevance to followers of Christ in all generations, a careful reading of these passages will show Jesus was discussing with His disciples the persecutions and even death they would encounter in taking the Kingdom message to Israel. In Matthew 10:23 Jesus plainly tells his twelve disciples they will not finish going through the cities of Israel before he comes. In Luke 12:56, Jesus addresses the crowd and chides them for not recognizing events that were about to occur. In part one of this series we saw that the soul is not immortal and it can and does die. We saw that the life of the body is the soul. When the body dies the soul dies. We also discussed how Christ used the always burning dump outside the walls of Jerusalem (Gehenna) as symbolic of destruction of the wicked. Since the soul dies when the body dies, what does Jesus mean in saying His disciples should not fear those who kill the body but can't kill the soul but rather fear the one who can destroy body and soul in Gehenna? Is Jesus speaking of a permanent destruction of life or is he using Gehenna to represent a temporary judgement of the wicked? The Greek word translated “destroy” in Matthew 10:28 is apollumi. This word is found 92 times in the NT narrative. It does not have intrinsic meaning of permanent destruction and can be seen by context to often mean a temporary lose or ruin. The people of Sodom are seen as being destroyed (apollumi) in Luke 17:29. Other Scriptures show these people will rise up in a future judgement. When Jesus was sleeping in the boat and a huge storm came up, the disciples pleaded with Jesus to save them less they perish (apollumi) (Matthew 8:25). The disciples drowning would not mean their lives are destroyed forever. Christ sent His disciples to go to the lost (apollumi) sheep of the house of Israel (Matthew 10:6). Here apollumi appears to relate to spiritual death. The disciples are being sent to deliver to the very much physically alive Israelite's the message of how to escape from such death. At Jesus’ trial the chief priests and the elders persuaded the crowd to ask for Barabbas and to have Jesus destroyed (apollumi) (Matthew 27:1). Obviously, Jesus was not permanently destroyed. Then there is the parable of the lost (apollumi) sheep and the prodigal son. Luke 15:3-6: Then Jesus told them this parable: Suppose one of you has a hundred sheep and loses (apollumi) one of them. Does he not leave the ninety-nine in the open country and go after the lost (apollumi) sheep until he finds it? And when he finds it, he joyfully puts it on his shoulders and goes home. Then he calls his friends and neighbors together and says, Rejoice with me; I have found my lost (apollumi) sheep. Luke 15:24: for this my son was dead and is alive again; he was lost (apollumi) and is found.' And they began to be merry. Here we find apollumi does not relate to perishing, destruction or death but to being temporarily lost. It is interesting that in the prodigal son parable, the son being lost is paralleled with being dead showing how such terms are used figuratively at times. In the great majority of the 92 appearances of apollumi in the NT, it is used to describe a temporary lose from which there can be restoration. This parable of the lost sheep is also instructive of the attitude God has toward us in wanting to save us from apollumi. Jesus plainly said He had come to save the apollumi. Luke 19:10: For the Son of Man came to seek and to save what was lost (apollumi)." Luke 9:56: For the Son of Man did not come to destroy (apollumi) men's lives but to save them. John 3:16: For God so loved the world that He gave His only begotten Son, that whoever believes in Him should not perish (apollumi) but have everlasting life. 2 Peter 3:9: The Lord is not slow in keeping his promise, as some understand slowness. He is patient with you, not wanting anyone to perish (apollumi), but everyone to come to repentance. All this makes it very unlikely that when apollumi is used in the NT in regard to human life it designates a permanent loss of life. In John 3:16, Jesus could simply be saying that those who believe in Him will not remain lost. The use of Gehenna in Matthew 10:28 and Luke 12:4-5 is instructive as Gehenna is often used in association with other imagery relating to the need to take action to avoid sin. Of the eleven occurrences of Gehenna in the NT, six times it is used in association with cutting off a body part associated with sinning in order to escape Gehenna. It is generally recognized that Christ is not teaching physical mutilation but simply emphasizing the need to be diligent to avoid sinning. This being the case, it is reasonable to conclude Christ is using the image of the literal garbage dump called Gehenna to do the same. In view of how apollumi is used in the NT, it appears Jesus is using apollumi of the soul in Gehenna as a picture of God’s judgement upon the unrighteous and not as a permanent annihilation of the soul. The context of both Matthew 10 and Luke 12 appears to suggest Jesus is contrasting the killing of the righteous with the killing of the unrighteous. Jesus is instructing his disciples not to fear being killed for righteousness sake but to instead fear Him who can bring judgement upon the unrighteous signified by being thrown into Gehenna. 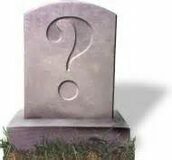 What is the fate of the "unsaved" dead? Critics of Universal Salvation see Scriptures such as Luke 19:10 and 2 Peter 3:9 as pertaining to the human realm and point out there are no Scriptures teaching this process of seeking to save the lost and being patient with sinners extends beyond physical life. If this is the case, we are forced to conclude that billions of God’s created humans will be cast aside as so much fodder and only a few, comparatively speaking, will receive salvation. This conclusion flies in the face of everything we know about God and His will for mankind. All indications are God sent Jesus to facilitate the salvation of the world. 1 John 4:14: And we have seen and testify that the Father has sent his Son to be the Savior of the world. 1 Timothy 2:3-6: This is good, and pleases God our Savior, who wants all men to be saved and to come to a knowledge of the truth. For there is one God and one mediator between God and men, the man Christ Jesus, who gave himself as a ransom for all men. Statements such as these make it virtually preposterous to conclude that salvation is limited to the relatively few predestined to salvation (Calvinism) or the relatively few who happen to choose Christ (Arminianism). I use the term “relatively few” to show the disparity between possible millions who are saved as opposed to billions who are not saved. It should be obvious that the vast majority of humans who have lived and died or are presently living and dying have not been "saved" as being saved is generally defined in Christian theology. Billions of humans have lived and died having never learned about, acknowledged or worshiped the God believed by Christians to be the one and only true God. Historically, billions of humans have worshiped false gods or no gods at all. Billions of humans lived prior to the Christ event and consequently died never knowing about salvation through Jesus. Since the Christ event, the success of Christian attempts to evangelize the world is minuscule when compared to the billions of humans who have lived and died having never heard the Gospel message and the billions presently living who will never hear the Gospel message before their death. As of this writing, two-thirds of the world's population, more than 3.2 billion people, live in what is called the 10/40 window. This is an area which lies across Africa and Asia from 10 degrees latitude north of the equator to 40 degrees latitude north of the equator. Missionary groups have determined that ninety-five percent of people living in the 10/40 Window have not heard the Gospel message and will probably go to their graves not having heard the Gospel message. When you add these several billion to the multiple billions who have lived and died during the past two thousand years who never heard the Gospel message, you are looking at a substantial group of human Beings. What is the status of the multiple billions of people who have lived and died never knowing the pathway to salvation? Are all these folks dead forever? Worse yet, are they consigned to a place of eternal torment because they didn't acknowledge Jesus as their savior? The absurdity of either of these conclusions should be obvious in face of the Scriptures that teach Christ died for the sins of the world and it is the will of God that all men be saved. How could God so love the world and facilitate the salvation of the world through His Son and then have the vast majority of the world not participate in such salvation? Such a scenario is totally incompatible with the gospel message. It should be evident from the Scriptures the Christ event took place in order to facilitate salvation for all humans. If only a very small percentage of humans are saved, it makes a virtual sham of the Gospel message. The scope of salvation taught in Scripture virtually demands all humans are at least presented with the opportunity for salvation. As discussed earlier in this series, all are made alive in Christ. Paul wrote that we all die in Adam and we all are made alive in Christ. If being made alive in Christ equates with being granted immortality and immortality is only granted to the saved, then all humans will be saved. If being made alive in Christ does not include automatic immortality, then there must be a return to temporal life where opportunity for salvation will be made available. Scripture, however, appears to teach all men are already saved because of the Christ event. 1 Timothy 4:9-10: This is a trustworthy saying that deserves full acceptance (and for this we labor and strive), that we have put our hope in the living God, who is the Savior of all men, and especially of those who believe. Paul writes God is the Savior of all men. If all are made alive in Christ and God is the Savior of all men, to conclude some men won’t be saved appears to be an oxymoron. Paul clearly taught salvation is the gift of God. It is not in any way based on what we do. Salvation is a free gift of God through Christ. If this is truly the case, how can anyone be left out? If there is nothing we can do to earn or qualify us for salvation, what is there to prevent anyone from being granted immortality? Are there things we do that disqualify us from the free gift of salvation? For example, what if we don’t repent? Scripture places a great deal of emphasis on repentance. Repentance simple means a change of mind. It is believed such change of mind must lead to changed behavior in order to be saved. It is believed we must turn from sin and live in harmony with God’s intended way of life in order to be granted immortality. Is changed behavior during this physical life a condition of salvation? Must we change our behavior in order to be saved? Is my salvation dependent upon me changing my behavior? If changed behavior is a condition I must meet in order to be saved, doesn’t this constitute salvation by works, the works associated with changed behavior. Romans 5:6-10: But God demonstrates his own love for us in this: While we were still sinners, Christ died for us. Since we have now been justified by his blood, how much more shall we be saved from God's wrath through him! For if, when we were God's enemies, we were reconciled to him through the death of his Son, how much more, having been reconciled, shall we be saved through his life! 2 Corinthians 5:14-20: For Christ's love compels us, because we are convinced that one died for all, and therefore all died. And he died for all, that those who live should no longer live for themselves but for him who died for them and was raised again. So from now on we regard no one from a worldly point of view. Though we once regarded Christ in this way, we do so no longer. Therefore, if anyone is in Christ, he is a new creation; the old has gone, the new has come! All this is from God, who reconciled us to himself through Christ and gave us the ministry of reconciliation: that God was reconciling the world to himself in Christ, not counting men's sins against them. And he has committed to us the message of reconciliation. We are therefore Christ's ambassadors, as though God were making his appeal through us. We implore you on Christ's behalf: Be reconciled to God. God made him who had no sin to be sin for us, so that in him we might become the righteousness of God. Paul is teaching that Christ died for all and in so doing all humanity died. Humanity died the same sin death that Christ died when He had all the sin of humanity placed on Him. Having died to sin, death no longer has any hold on humanity. Scripture shows Christ defeated death. Therefore, death has no claim on humanity. Since Christ never sinned, death had no hold on Him and he was resurrected to life. Since humanity died in Christ, humanity is resurrected to life in Christ. This is why Paul could say that as all die in Adam all are made alive in Christ. This being the case, changed behavior is not a condition or a prerequisite to salvation. The only prerequisite to salvation is acknowledgment of the sacrifice of Christ and even such acknowledgment (called faith) is a gift from God. Expression of faith in what Christ did is the same as expressing love for Christ and love for Christ will produce changed behavior. We can’t call Jesus Lord and not do what he tells us to do. To say we love Jesus and not strive to be obedient to His teachings is an oxymoron. Changed behavior, however, is a consequence of faith in Christ, not a prerequisite for salvation. Some point out that if people become aware they will be saved regardless of their behavior in this physical life this will result in lack of trying to be righteous and promote much greater sin in society. As pointed out earlier in this series, God has bound all humans over to sin so that he may have mercy on all. God created us with certain passions and it is our wrong expression of those passions that leads to sin. God gave us ability to recognize cause and effect and make choices. We humans have the ability to choose moral and ethical behavior. We all have ability to see the consequences of unrighteous behavior and learn from such knowledge. For those who have come to express faith in Christ, that ability is aided by the indwelling of God’s Spirit. As already pointed out, all humans will be judged and rewarded according to works. Avoiding the negative consequences of sin and looking forward to the rewards of righteousness are incentive to avoid sin. There is no question God desires we do good works. As already discussed in this series, it is apparent God wants humanity to learn through the experiences of life that His way is the only way to peace, joy and contentment. While in this physical life, He wants us to see the efficacy of His way and virtually fall in love with His way, even in the face of the struggle it can create with our living in a culture of sin. From the beginning, God created humans with the ability to sin and He knew that sin they would. God determined the penalty for sin is death. God also facilitated a way our from under that penalty. God did not create billions of humans to experience sin and its consequences and then be forever forgotten. From the beginning, God initiated a plan to have this death penalty removed and that plan was facilitated in and through Christ Jesus, the anointed Savior. The Scriptures show all will be made alive in Christ and all will appear before the judgement seat of Christ to be judged according to what was done while in the body. This is not a judgement regarding the granting of life or death. It certainly is not a judgement resulting in the consignment of billions of humans to everlasting punishment. It appears more to be a judgement to determine placement in the eternal realm. Let’s look at what Paul wrote about every knee bowing to Christ and what Isaiah wrote about every knee bowing to God. Philippians 2:9-11: Therefore God exalted him to the highest place and gave him the name that is above every name, that at the name of Jesus every knee should bow, in heaven and on earth and under the earth, and every tongue confess that Jesus Christ is Lord, to the glory of God the Father. Isaiah 45:23-25: By myself I have sworn, my mouth has uttered in all integrity a word that will not be revoked: Before me every knee will bow; by me every tongue will swear. They will say of me, `In the LORD alone are righteousness and strength.'" All who have raged against him will come to him and be put to shame. But in the LORD all the descendants of Israel will be found righteous and will exult. Notice Isaiah quotes God as saying all the descendants of Israel will be found righteous and will exalt God. Paul wrote that all Israel will be saved (Romans 11:26). Traditional Christianity teaches that those who reject Christ and refuse to willingly submit to the Father will be forced to kneel before Christ and the Father just before being consigned to eternal punishing or, as some believe, annihilation. Is this a forced kneeling? How could such a forced confession honor Jesus or be to the glory of God the Father? It is much more in line with the Scriptures to conclude this will be a voluntary act on the part of all humanity who will have come to love the Father and the Son and embrace their offer of grace. The following passage supports this view. Paul said “if you confess with your mouth, "Jesus is Lord," and believe in your heart that God raised him from the dead, you will be saved. For it is with your heart that you believe and are justified, and it is with your mouth that you confess and are saved” (Romans 10:9-10). If the above passages are saying all will confess Jesus is Lord, it would seem to follow that all will be granted salvation. The Greek word translated confess in Philippians 2:11, is exomologeomai. Thayer’s Greek Lexicon defines this word as professing freely, openly and joyfully. The Bauer, Arndt, Gingrich Greek Lexicon shows this word is used to express praise and honor. It would appear that all humans will at some point make this confession and it will be a voluntary confession. Those who place faith in Christ in this physical life will have already make this confession and have eternal life abiding in them. When the unsaved make this confession is not revealed in Scripture. As already discussed, some believe there will be a period of remedial punishment or orientation before joining the saved in the heavenly realm. This, however, is pure speculation as nothing is said in Scripture as to this being the case. As covered in part three of this series, Apostle Paul bemoaned the manner in which he was expressing his human nature and asked the rhetorical question, “Who will rescue me from this body of death?" He answers his own question by stating it will be "through Jesus Christ our Lord!” The body of death we will be rescued from is our carnal natured body which results from the many unrighteous choices we make in life. Paul shows we are rescued from this nature through Christ. Since all die in Adam and all are made alive in Christ, it follows that being made alive in Christ includes being rescued from the sinful nature we have all acquired through making sinful choices. Scripture simply doesn’t reveal the dynamics of how the salvation of all humanity will be accomplished. What Scripture does reveal is that it will be accomplished. In this series we have reviewed a number of Scriptural passages that provide straightforward teaching as to this conclusion. Paul taught all die in Adam and all are made alive in Christ. Paul taught condemnation came to all men through Adam but life has come to all men through the sacrifice of Christ. The Scriptures reveal Jesus’ mission was to save the world. He accomplished this mission through the crucifixion and resurrection wherein He destroyed death. Jesus didn’t destroy death only for some. He destroyed death for all. Paul’s revelation that all will confess Jesus is Lord by which the Father will be glorified is sound evidence all will positively respond to Christ and be granted immortality and live with Christ and the Father in the heavenly realm.